1. The Browns haven't won two games in a row since 2014. 2. The Browns haven't won a game on the road since 2015. Pluto says the mindset has shifted with General Manager John Dorsey. "He's been in the NFL for 26 years. Nineteen times his teams have made the playoffs. He's not used to all this losing. And he doesn't want his players like rookies Baker Mayfield and Nick Chubb to get used to it." The other interesting dynamic to Sunday's game is that the Browns will be facing former coach Hue Jackson. Days after his firing in Cleveland, Jackson was hired as a special assistant to Bengals head coach Marvin Lewis. 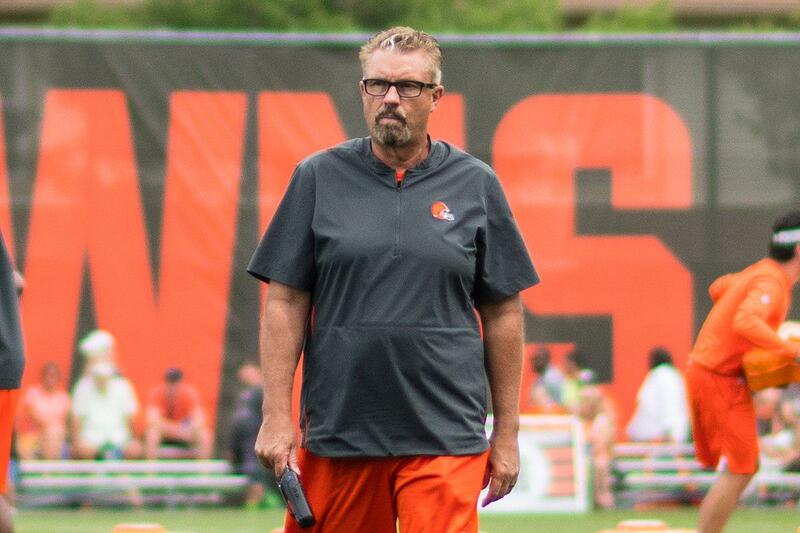 If Gregg Williams can lead the Browns to victory over Cincinnati, he may have a shot at making his interim title permanent. Meanwhile, the Browns have started their search for a new head coach with interim Gregg Williams at the helm. "If Gregg Williams goes in and beats Cincinnati and wins several more games, he's in the conversation," Pluto said. The View From Pluto: Is This Finally the Tipping Point for Hue Jackson? Frustrations are mounting within the Browns organization following this past Sunday’s overtime loss at Tampa Bay. After the game, coach Hue Jackson blasted the team’s performance, throwing blame on his offensive coordinator, Todd Haley. WKSU commentator Terry Pluto says it appears the game at Tampa was a tipping point for a team that keeps losing close games.